Just the thought of your home on fire can be incredibly scary — but don’t let that stop you from preparing. The following Auburn Gresham SBIF Districts, 79th Street Coorridor and 79thare open for new applications this month for an open application period during October. United Way of Metro Chicago names new CEO Sean Garrett, a career-long employee of the organization, comes here from United Way of Central Carolinas. 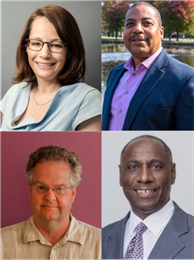 A career-long United Way employee, he comes to Chicago from Charlotte, N.C., where he was executive director of United Way of Central Carolinas. Garrett, 36, replaces Wendy DuBoe, who became CEO in 2012. 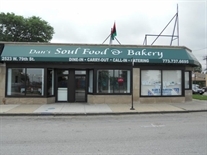 Dan's Bakery and Eatery in 79th/Southwest Highway SBIF, is a Souttwest Corridor Collaborative local business update at its best. SAVE THE DATE! 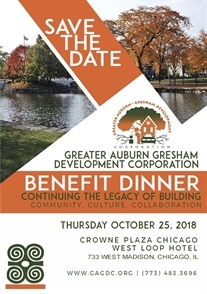 GAGDC WILL HOST IT'S 1ST BENEFIT DINNER, OCTOBER 25, 2018, SPONSORHIPS AND TICKETS AVAILABLE NOW. 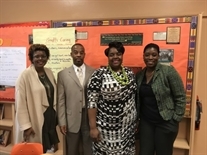 The Greater Auburn Gresham Development Corporation and United Way of Metro Chicago are working to transform the lives of neighborhood students, families through new Auburn Gresham GOLD initiative. School Is Out For CPS Students, Yet Not for Some Network 11 Teachers Who Are Prepping to Learning New Literacy Techniques. ...everyone involved was invested in a project and felt from the botton of their hearts they made an impact on the community. Spring "Health Fair on the Block" was really Hot! LISC Chicago Photo Highlights of Auburn Gresham through the years. Take a look! What an absolutely great time we had installing 428 FREE 10-year smoke alarms in 141 homes Saturday, May 19, 2018. Prepare for a Bright Future in the Solar Field! 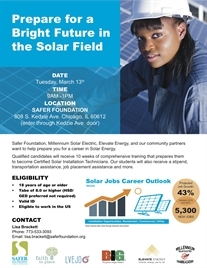 Come learn how qualified organizations and community partners want to help prepare you for a career in solar. Community health highlight proposed developments in Auburn Gresham, building on a vision of quality of life excellence, the residents are ready for!